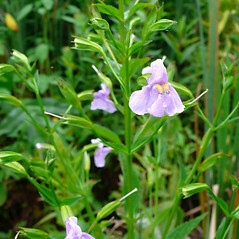 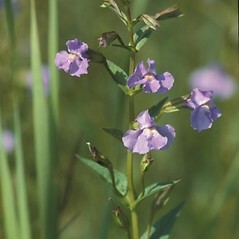 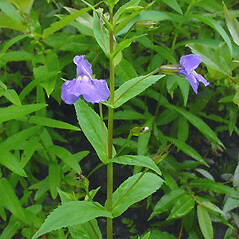 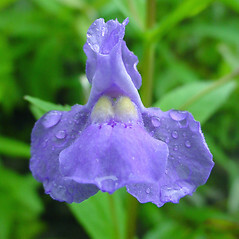 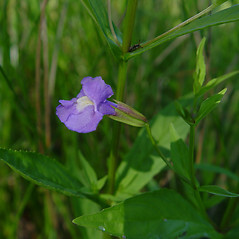 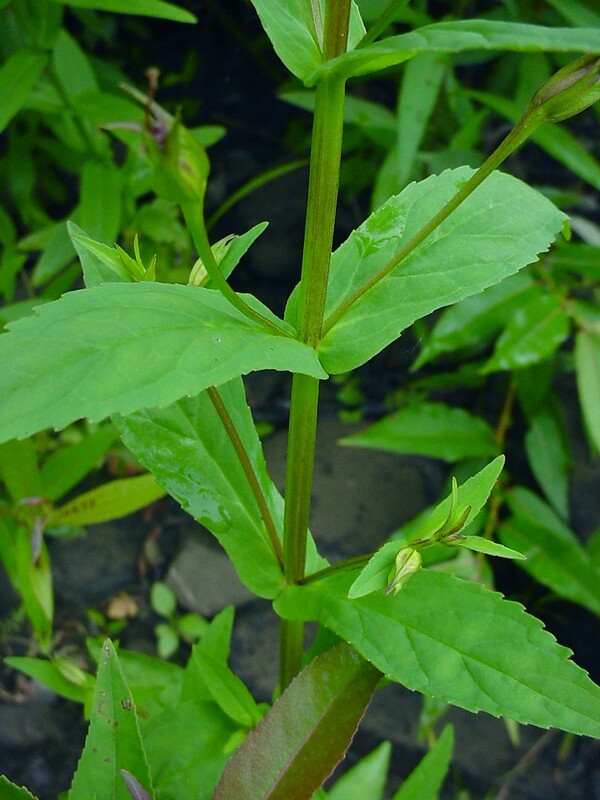 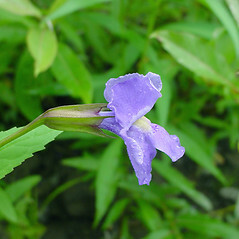 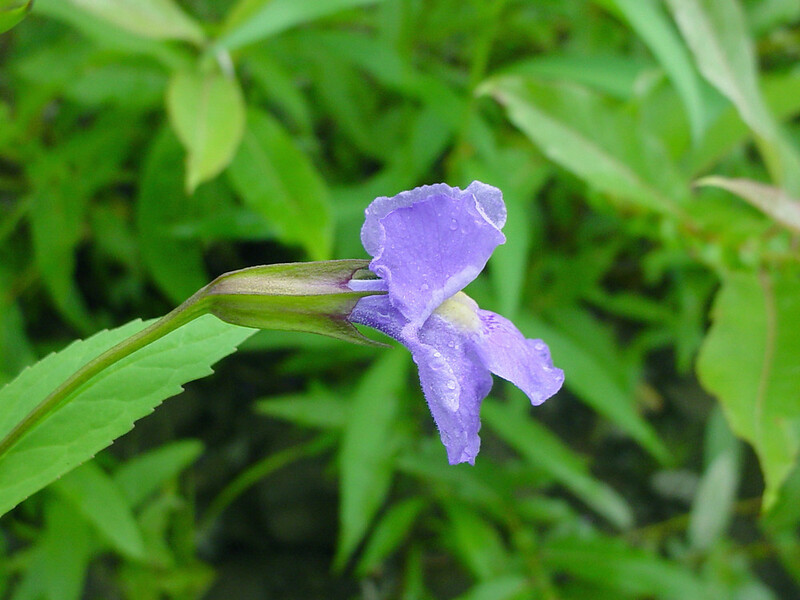 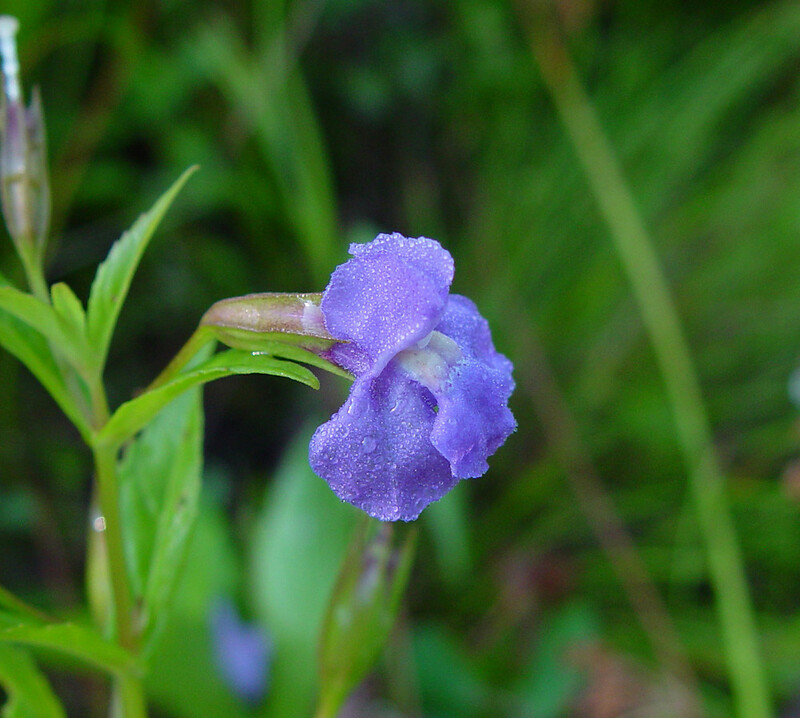 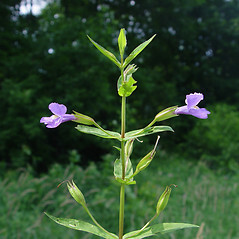 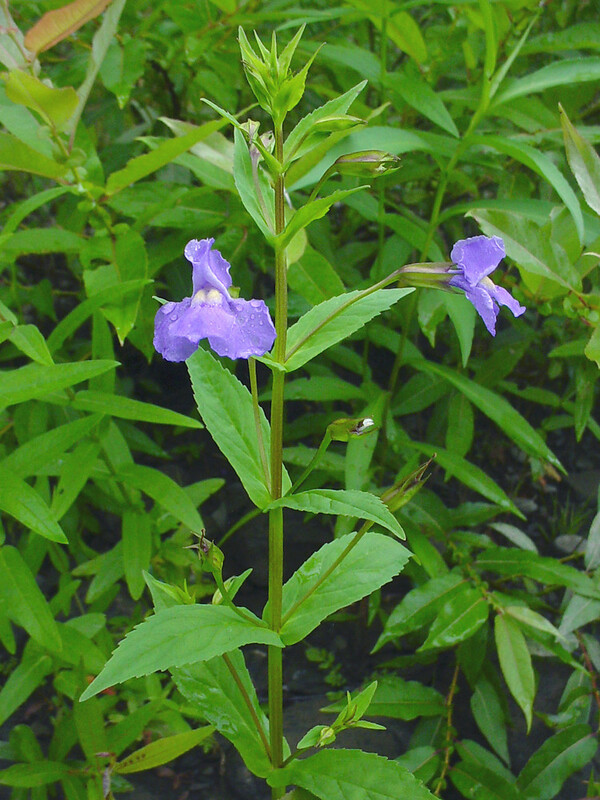 Research has shown that reproduction in Allegheny monkey-flower, an attractive wetland native, is suppressed when there are plants of the invasive purple loosestrife (Lythrum salicaria) nearby, because bumblebee pollinators of monkey-flower favor purple loosestrife and fail to visit the monkey-flower blooms. 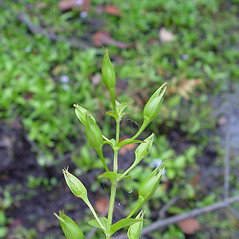 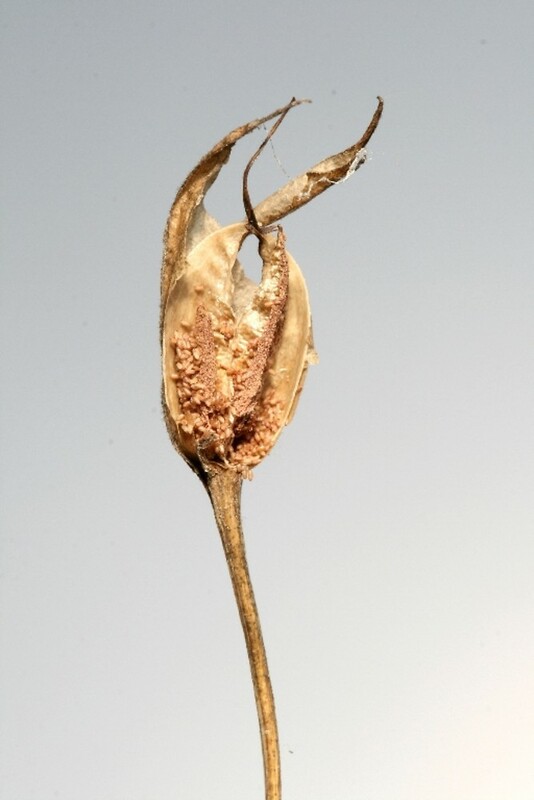 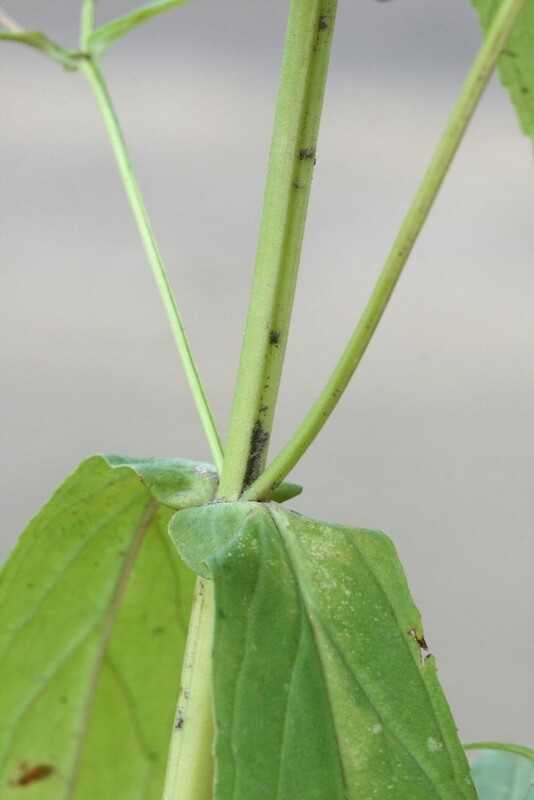 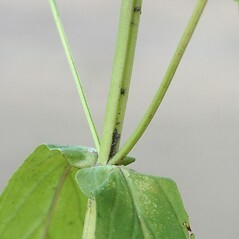 leaves borne on petioles 10–20 mm long, pedicels 2–15 mm long, and calyx lobes 1–1.5 mm long (vs. M. ringens, with leaves sessile, pedicels mostly 20–45 mm long, and calyx lobes 1.5–8 mm long). 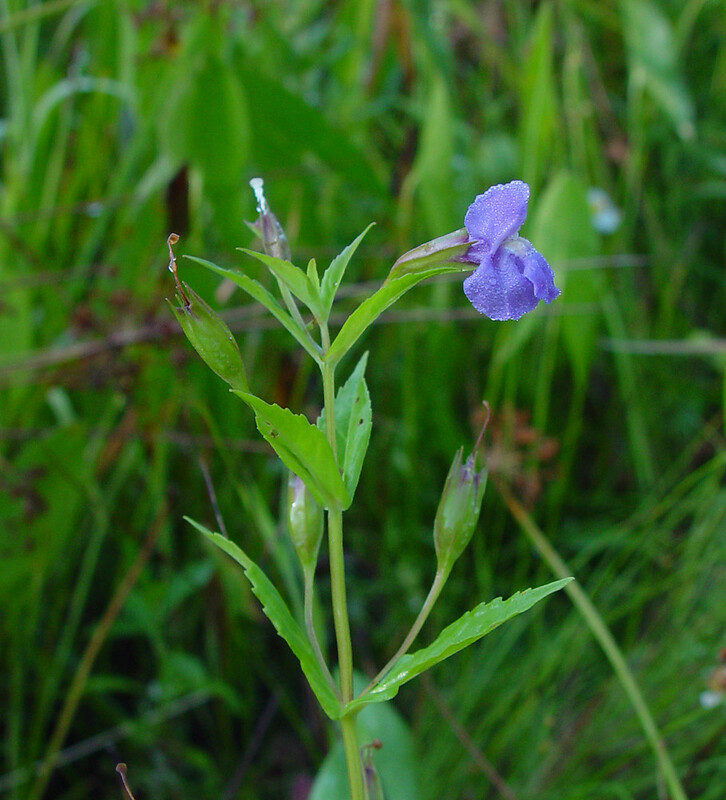 Mimulus ringens var. 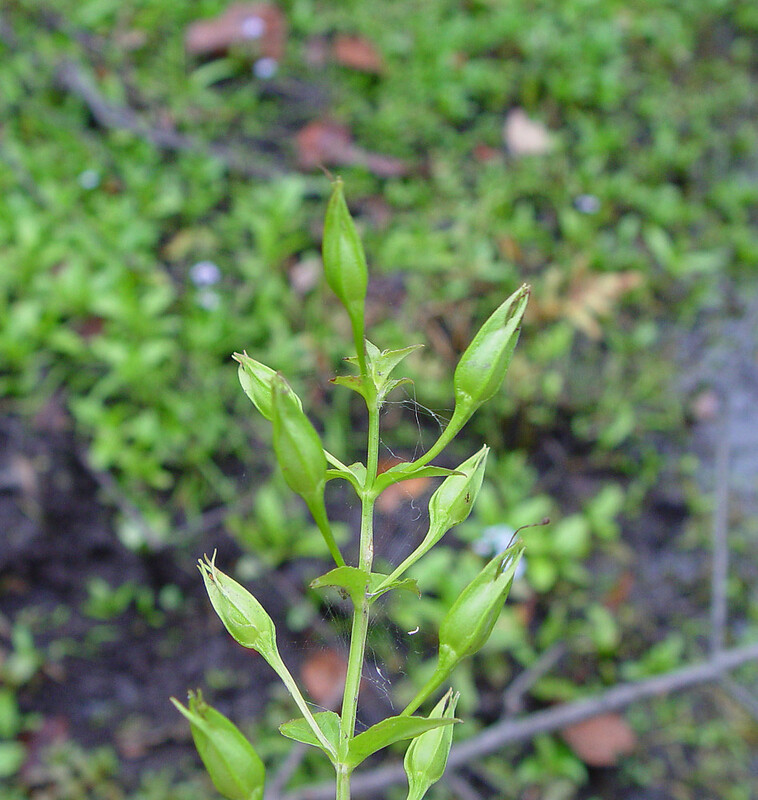 colpophilus Fern. 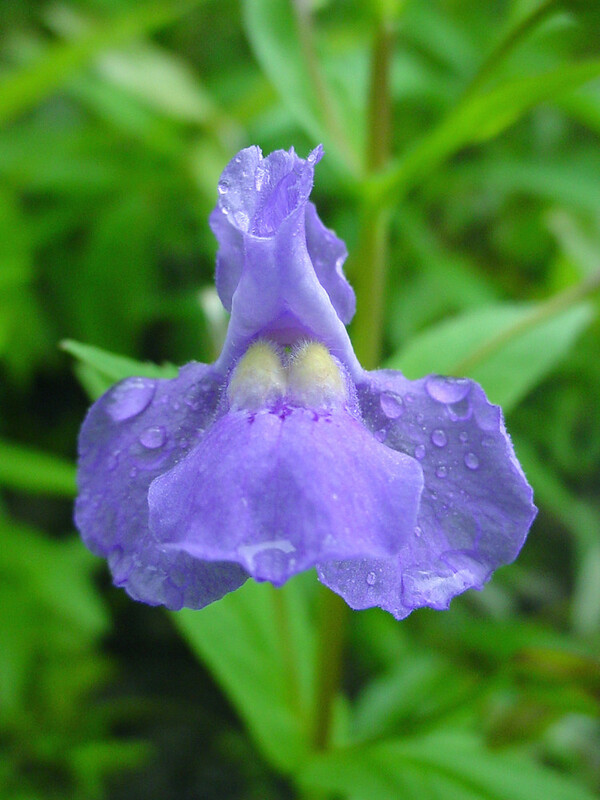 Allegheny monkey-flower. 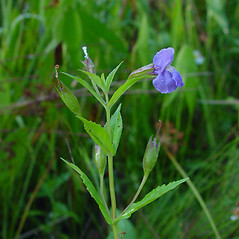 Mimulus minthodes Greene; M. ringens var. 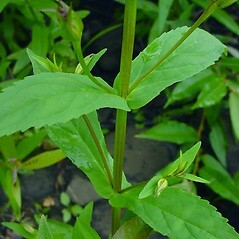 colpophilus Fern. 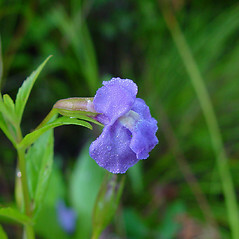 ; M. ringens L. var. 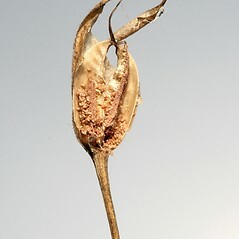 minthodes (Greene) A.L. 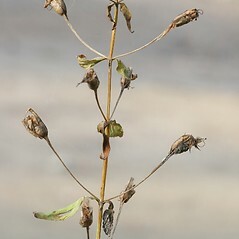 Grant • CT, MA, ME, NH, RI, VT; nearly throughout. 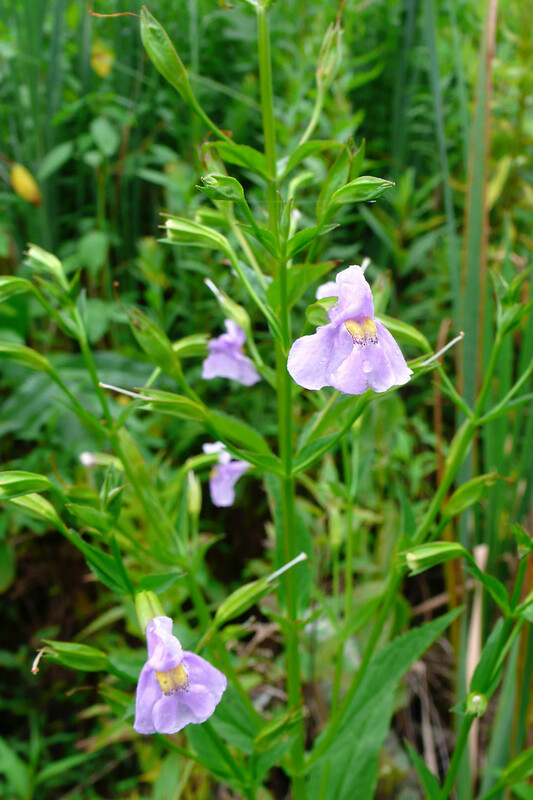 Shorelines, marshes, including fresh-tidal marshes, swamps, wetland margins. 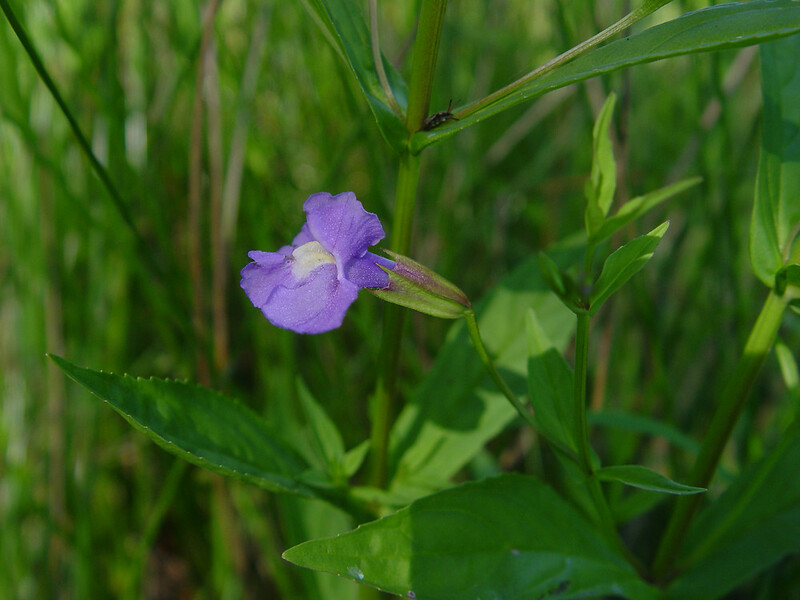 Mimulus ringens var. 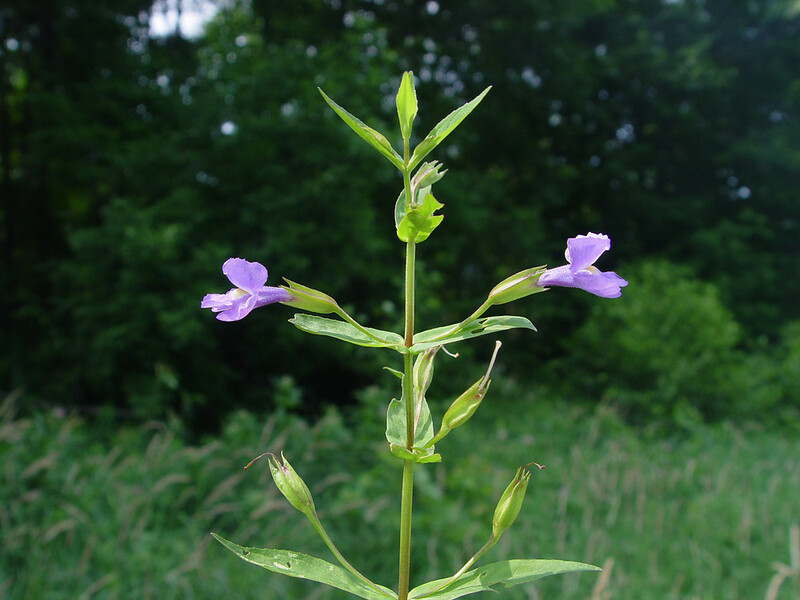 colpophilus was considered to be a rare, tidal form of the species that was restricted to ME within New England. 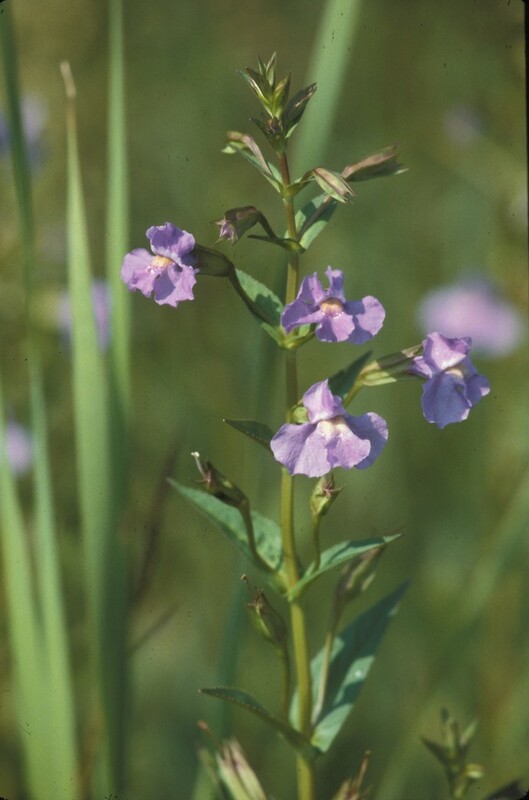 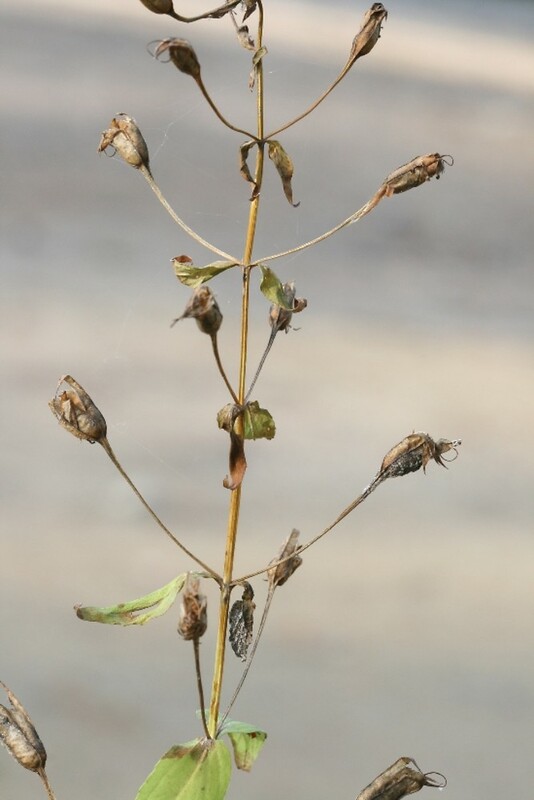 Observation of populations along fresh-tidal marshes show continuous variation in supposed diagnostic characters (e.g., calyx lobe length, stem internode length, pedicel length), with more stunted plants showing shorter leaves, stem internodes, calyx lobes, and pedicels found lower on river shores (i.e., experiencing a greater degree of inundation on a daily basis).